We will be holding the session inside the SEARCA Residence Hotel, inside the UP Los Baños Campus. If you are coming from Manila, take the South Luzon Expressway or SLEX, Calamba bound. As soon as you take the exit in SLEX choose Calamba bound, drive until you hit the toll and then few miles from there watch out for the Santo Thomas Exit. It is 1 exit before Calamba. Take this exit then drive straight until you see Ayala Greenfields Road. It will be on your left. Another sign on the entrance will also say Bucal Bypass Road (this is one of the short cuts). This is a guarded entrance but no need to stop and give ID's as you are just using the Bypass Road access and not going inside Ayala Greenfields Village. Take this road and drive straight, keep to the left, there will be arrows to guide you. 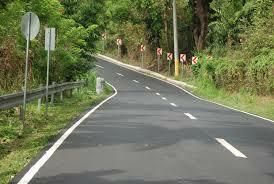 When you reach the end of the Bypass road, turn right, this will be the National Highway Pansol. Keep driving for about 15 minutes and watch out on the right for Los Baños Municipal Hall, it is a 5 story building with lots of glass. Look out for a big green traffic sign that says UPLB (turn right) you will turn right here just before the Municipal Hall. This is going up a hill and eventually through the mountain (Mount Makiling and Jamboree) this is the 2nd shortcut. The Jamboree road is a bit zig zag but it's a very nice drive through the forest. 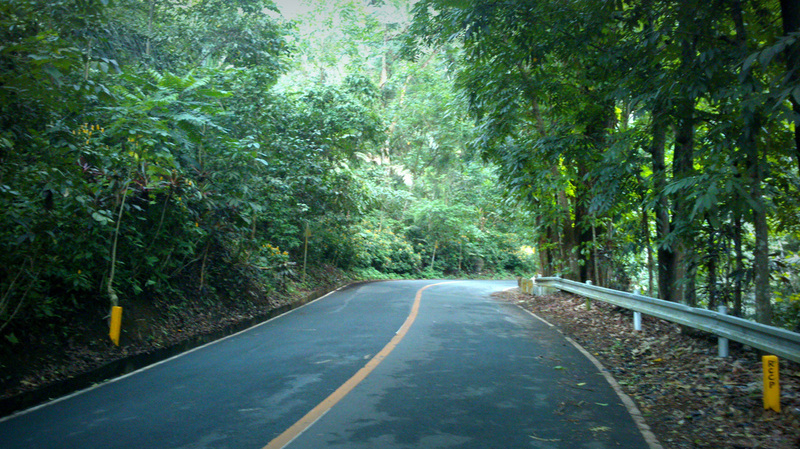 All roads lead to the UPLB campus. Once you enter the campus, keep driving down the hill until it becomes a fork. Then keep right and then right again, you will cross a hanging bridge, from there turn left then keep straight and you will see the Freedom Park (football field). 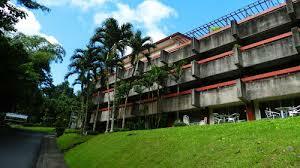 SEARCA is just between the Men and Women’s dorm, which is right across the football field. The drive through Jamboree: drive slowly and enjoy the forest. You are about 5-10 minutes away. 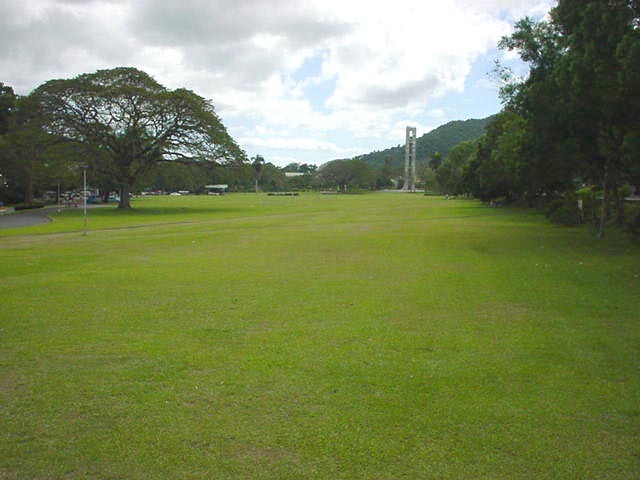 You are a few meters away once you see the Freedom Park on your left. It is easy to travel to LB by public transport. 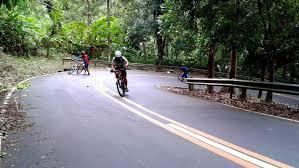 It is just 2 rides away from Manila. If you are coming from the Metro, you can take buses from either Cubao or LRT Buendia. You can find lots of bus terminals there such as DLTB, Green Star, JAC Liner, etc. Take the bus that says 'Sta. Cruz (Laguna). Once inside, instruct the driver to drop you off at 'College'. This will be the bus stop on a gas station right across Olivarez Mall. From LRT, the fare is about P99 per adult, cheaper if you are a student. It is about 1 1/2 -2 hours trip depending on the traffic in Calamba. 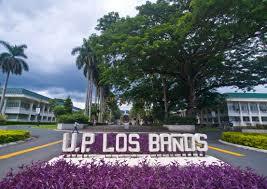 From there, you can take a jeepney that will take you inside the UP Campus. Take a jeep that says 'Kaliwa'. 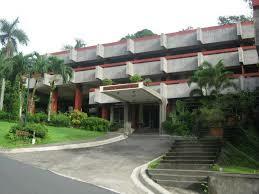 Once you get inside the jeep, ask the jeepney driver to drop you off at the SEARCA Hotel beside the Women's Dorm. It is about a 5-10 minute trip depending on the traffic. The fare is P8, cheaper if you are a student. When the driver drops you off, walk up the hill, SEARCA is just a few meters away. 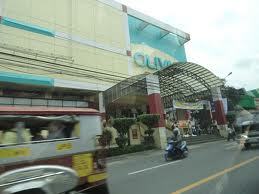 Ask the driver or bus conductor to drop you off at 'College', you will see the Olivarez Mall right across the stop. Entrance to the campus. 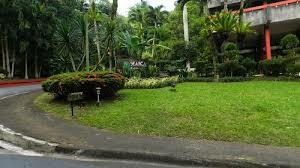 Ask the jeepney driver to drop you off at SEARCA Hotel beside the Women's Dorm. There is a restaurant called 'Dalcielo' right next to the building. They open at 7am and have free wifi. You can grab a light breakfast here in case you get in early. Additionally, there is a coffeshop called 'Kaphe' at the lobby of SEARCA, it also offers free wifi.. There's also a Spa called 'Living Life Well' beside Dalcielo. This spa opens at noon. If you are bringing a companion, they can avail of the spa services while waiting for you.